Yoghurt dough has taken the lunchbox scene by storm. There’s hardly a day go by that I don’t see some variation of scrolls: savoury, sweet. But who is using this dough to make bickies? Um…we are! 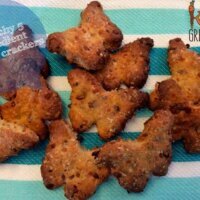 Crunchy 5 ingredient cheese crackers are made with your trusty yoghurt dough! As you probably know, I’m a bit of a fan of bento style lunches. I love making cute lunches for the kids, in the hope they they will eat more. But I will not compromise on quality. I will not buy tiny teddies or other conventional kid bickies. They are not going in our lunchboxes. So here we are, baking cute little butterflies out of yoghurt dough. These are already kid aproved. Master 2 has tonsillitis and has barely eaten a thing since Monday but ate 4. So if he approves, I can guarantee Miss 4 will be loving these this afternoon after preschool. I’ve used flaxseeds in these, but you could try chia or even poppy seeds or sesame seeds. Or a mix. I’ll try some more combinations over the next couple of weeks. You need a fair bit of flour for rolling these out, otherwise they will stick to your chopping board. Now, don’t panic as they start to brown, you want them crunchy, so keep an eye around the 15 minute mark….and watch until they are crispy! Add all the ingredients to a mixer (except the extra flour). Mix on low for one minute with the dough hook. Mix on high for 2 minutes. Roll out the dough to .5cm thick and cut with cookie cutters of your choice. Place on lined baking trays and bake for 15-18 minutes or until crunchy. This looks like a fantastic recipe. 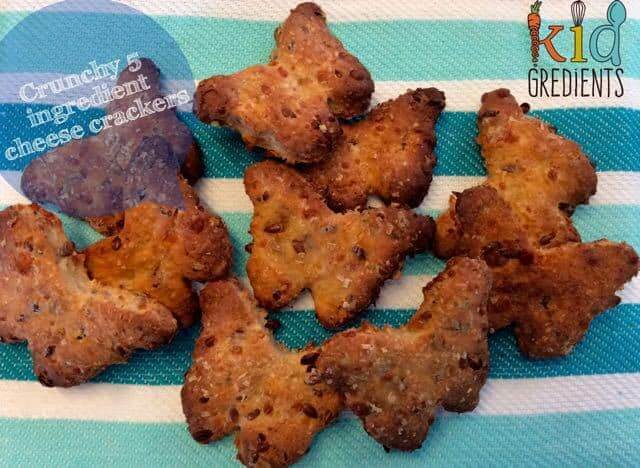 I’m always wanting to make my kids savoury biscuits instead of the store bought ones. Thanks for sharing at Thriving on Thursdays. I’m featuring this one at tomorrow’s party. Thanks Anne! I bought some little cookie cutters today and I’m going to do some airplane ones next week! These look great, I never would have thought to use yoghurt dough for bikkies! I have never heard of yoghurt dough! Off to discover some more ideas. lol. Everyone’s seriously yoghurt dough crazy! These crackers look awesome! Found you through the Weekly Wrap Up Link Party! My teens & tween would love these! Well, Miss 4 and Master 2 had demolished all but about 10 (with my help) by the end of Friday…. Oops was meant to ask can you substitite with same quantity? Can you substitute the flaxseeds with Chia? So simple but so delicious! We’re huge fans of yoghurt dough, especially on pizza nights! Thanks for linking up to the Ultimate Rabbit Hole. 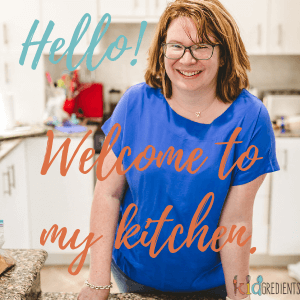 I don’t think I can live without yoghurt dough….or the Ultimate Rabbit Hole! These look delicious, I am going to make them over the weekend. These look so good and so crunchy. I think Dora would love them.